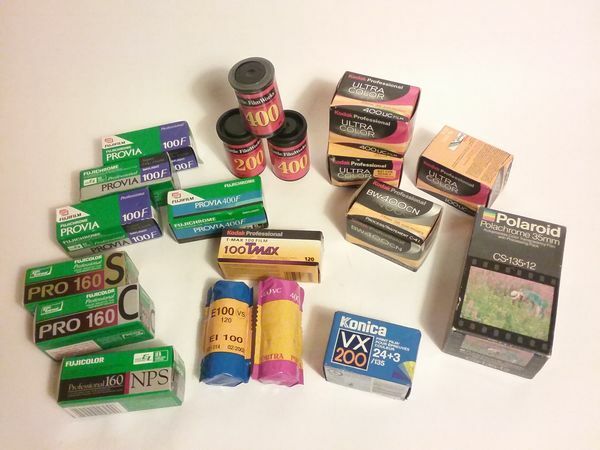 A group of 19 out dated (2004-6) films of 120 & 35mm sizes $40. + S&H $10. Still FRESH film in my book. Do you know if it's been kept at least cool and dry, if not actually refrigerated. I shoot film way older than that and I do shoot 120 roll as well. I'll buy it Friday if you still have it!!! Yes, its been kept cool (71 degr's) and dry. Are you interested in my film? Sent film by post moments ago.